For roughly six months, Fisker Automotive has said it's sold "about 1,000" of its Karma range-extended electric luxury sedan, globally. Then, on July 31, we spotted a brand-new 2012 Karma at the Balboa Bay Club & Resort in Newport Beach, California--so new it still had dealer plates. Its Vehicle Identification Number (VIN) ended in 001992, so we sent off a note to Fisker asking whether that indicated that 2,000 or so Karmas had been built. Both Roger Ormisher and Russell Datz, who comprise Fisker's communications department, declined to answer the question. Instead, they suggested that we wait for Fisker's next business update, likely scheduled for sometime in September. Then, in yesterday's conference call announcing the company's latest CEO, Tony Posawatz, company cofounder Henrik Fisker casually dropped an interesting number. He said "about 1,900" Karmas had been built to date. While it's possible (though unlikely) that Fisker uses non-contiguous VINs, we're going to take his comment as confirmation of our query. Moreover, since we saw 2012 Fisker Karma # 1992 already in the U.S. after shipping from its assembly plant in Finland, we suspect Fisker has now built a few hundred units more than 2,000 to prepare for its upcoming launch in China. The more important number for the company's survival, though, is sales. On that, Fisker Automotive remains resolutely mute. How Many Tesla Model S Electric Cars Have Been Built So Far? 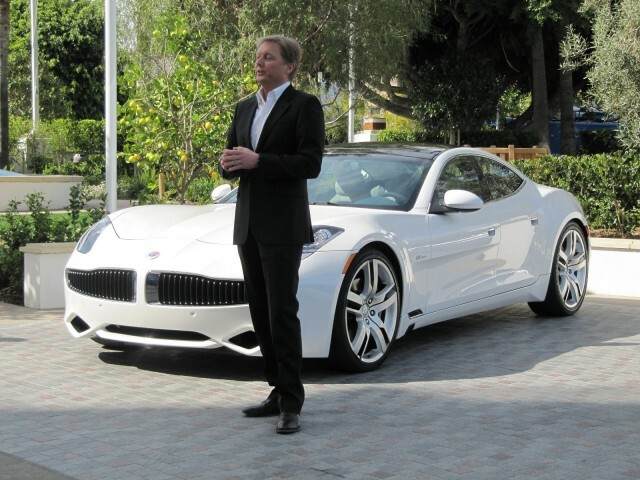 Who's Still Buying Brand-New Fisker Karmas, And Why? REVIEWGet our rating plus photos & specs.